Long work days, endless responsibilities and the routine often prevent us from sharing more precious moments with our family. A family trip is an excellent opportunity to explore the exciting world around us while enjoying quality time and learning experiences for all. Tuscany is the ideal location for making holidays a learning experience, especially for families and children. Florence, the cradle of the Renaissance, is full of wonders from past artists, scholars and scientists. But culture, art and sightseeing activities are available all around the region, which also offers amazing nature and beaches for summer language holidays near the sea. Here are two ideas for Educational Family Holidays and Teenager Summer Camps in Tuscany. This programme is conceived for families who wish to have relaxing holidays in Tuscany with their children, learning Italian while also experiencing local life through cultural and social activities. The 7-day experience is available year-round. Courses take place in the morning and activities in the afternoon. While adults attend their Italian lessons with a certified teacher, the kids enjoy a variety of dedicated activities with specially trained school personnel. In the afternoon, families can experience together the excitement of discovering Florence with shared activities and site visits. 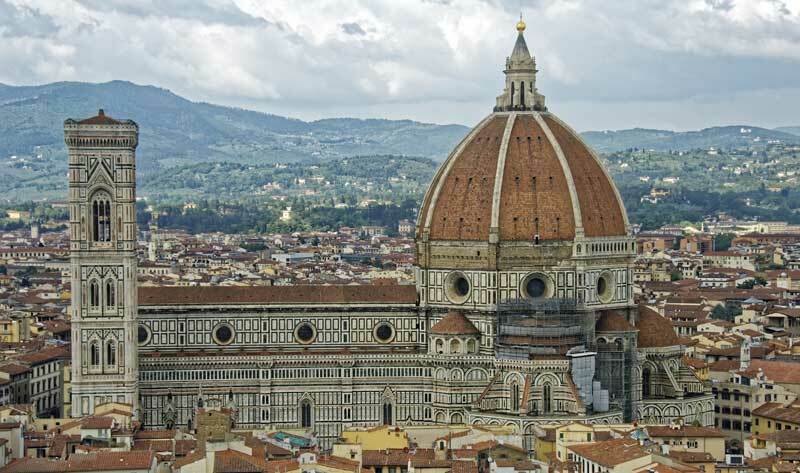 Florence is a wonderful town with innumerable works of art, museums and churches. Despite being a very popular tourist destination, it is still a welcoming and tranquil city. The language school is located in its historic center and is officially recognized by the Italian Ministry of Education. Studiainitalia can provide families with different accommodation options in Florence, such as private rooms, shared/individual flats and hotels near the school. Read more information on Italian for families in Florence. A fun Summer Camp in Tuscany is something you don’t want your children to miss: they can learn Italian while having fun and expanding their cultural horizons. After a careful selection of schools and programs, at Studiainitalia we recommend Orbetello as the best choice for your teenager’s Italian Camp in Tuscany. Orbetello is a small, serene town that lies in the middle of the namesake lagoon, which is a WWF Nature Reserve. It connects Tuscany’s mainland with the Promontory of Monte Argentario, a dream summer destination for many Italians. The Summer Programme includes 20 Italian lessons (50 minutes long) per week, course material, computers and wi-fi at school, full-board accommodation plus a variety of supervised leisure, sport and cultural activities. The accommodation is offered by carefully selected, friendly and helpful host families who live near the school. The duration of the Summer camp can be of 2, 3 or 4 weeks, between June and August. Read more information on Italian language course for young learners in Orbetello. The tranquil and safe character of Orbetello is a crucial factor for most parents who are looking for the best summer study abroad experience in Italy. And if they want to visit the area and enjoy a summer vacation themselves, they will be surprised by the pristine beaches, food festivals and culture events in the area. Italian courses in Orbetello are also available for adults between April and October.